Product code: ES1082 Categories: Sold Items, Sold Rings. 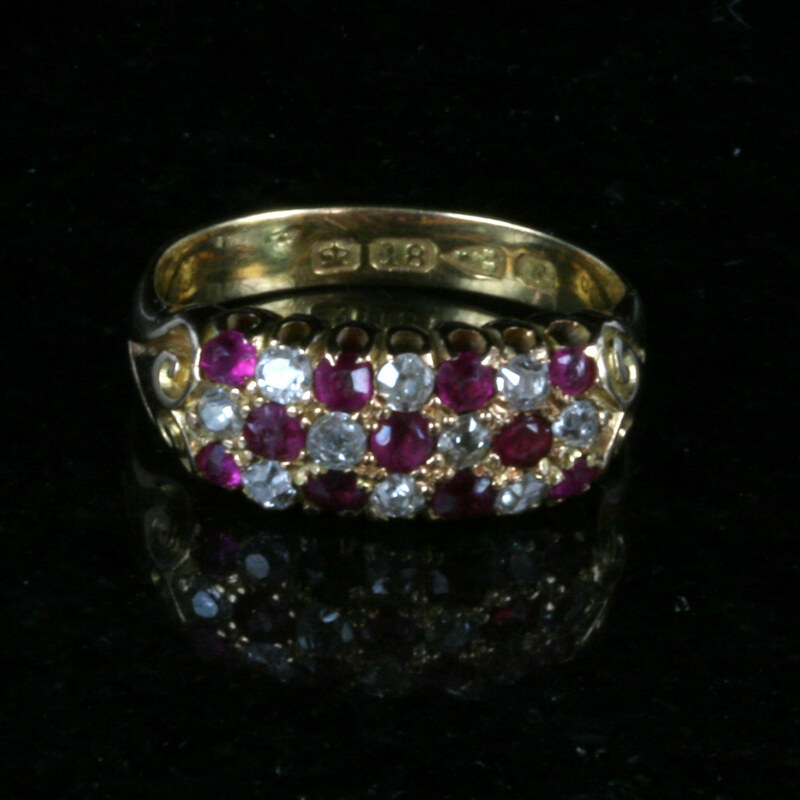 Here is an antique ruby and diamond ring, well over 120 years old that still looks perfect today as the day that it was made. 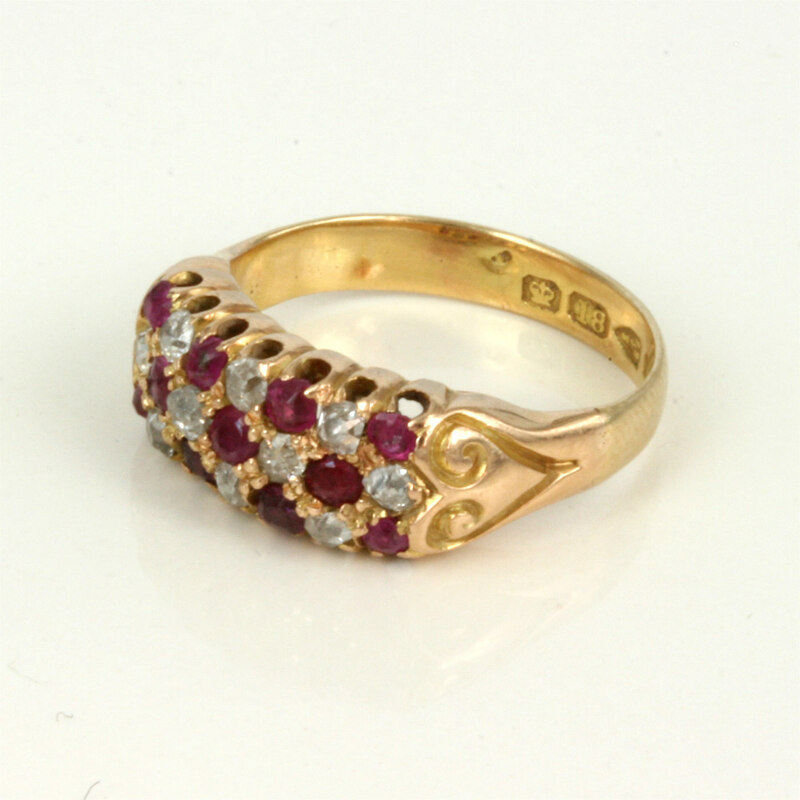 Made in 18ct yellow gold, this ring was made in Birmingham 1885, and is set with three rows of natural rubies and diamonds. With a total of 11 rubies and 10 diamonds, the combination of the rubies and diamonds in three rows looks so stylish on the finger and will always get comments on. The rubies total 0.44 carats and the diamonds 0.34 carats and from left to right where the diamonds start and stop in the middle row, it measures 14.8mm across by 7mm wide. Sitting nice and flat on the finger also makes this a wearable ring for every occasion, day or night and this antique ruby and diamond ring will always be loved.